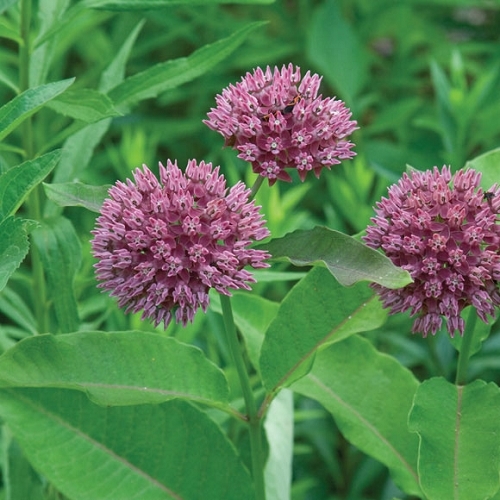 Purple milkweed is similar to common milkweed in flower color and leaf shape, but is more compact and colorful and doesn't spread as much. In addition to being a host plant for the monarch butterfly, many other butterflies and bees will visit. It's bitter taste makes it fairly deer and rabbit resistant.